Virtually indestructible, duraTRAIN fitness tiles were made for the kind of heavy use fitness facility clients dole out every day. Our patented three-stage compression molding process makes sure our tiles can withstand the heaviest equipment, the heaviest usage and the heaviest traffic. In fact, our products have been rated for over 400,000 repeated impacts with an 800 pound force. Use duraTRAIN for fitness centers, weight rooms, group exercise rooms or cardio rooms. 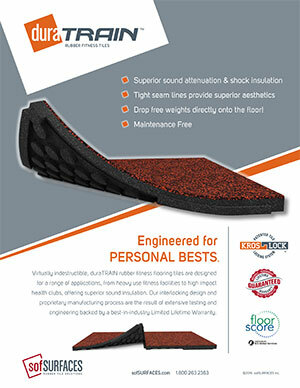 And at 1.25 inches thick, they’re the perfect shock and sound insulation solution for upper-level locations. 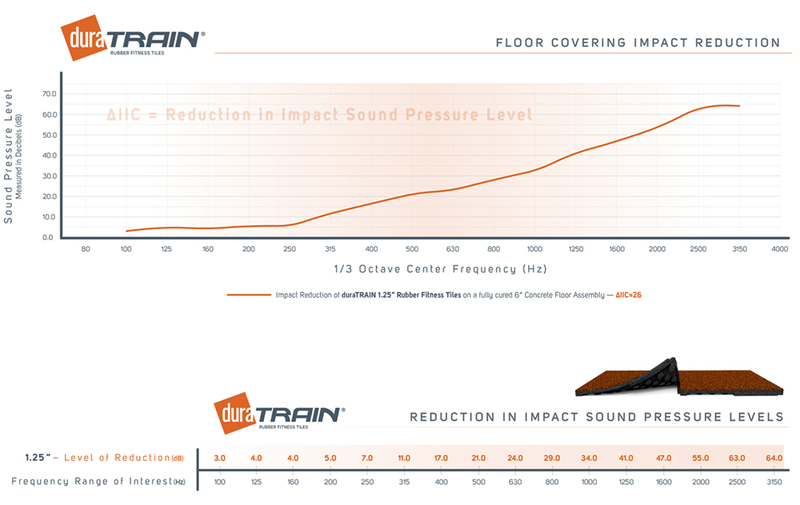 Made from 100 percent post-consumer recycled materials and backed by the muscle of our best-in-industry Limited Lifetime Warranty, duraTRAIN Rubber Fitness Tiles are available in a range of standard Plus Series Colors as well as an infinite range of hybrid color blends. Or, create your very own custom blend right here! 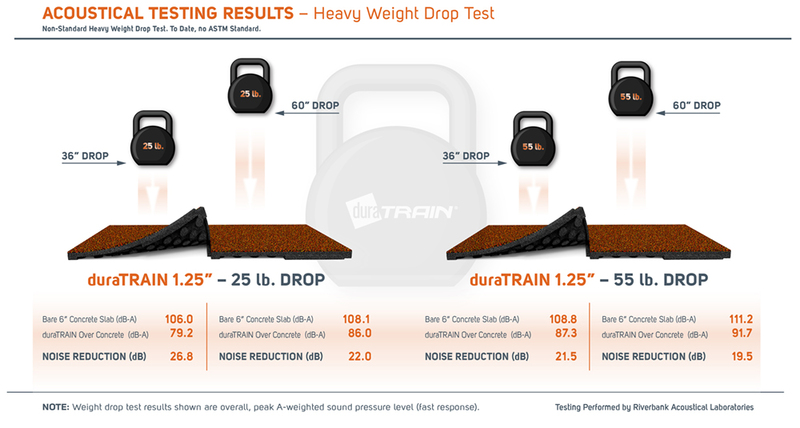 Learn more about duraTRAIN fitness flooring.